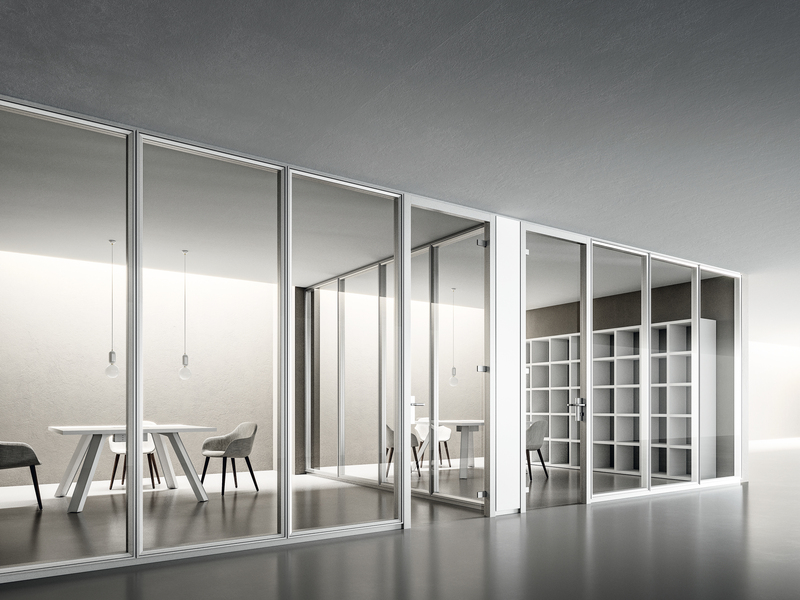 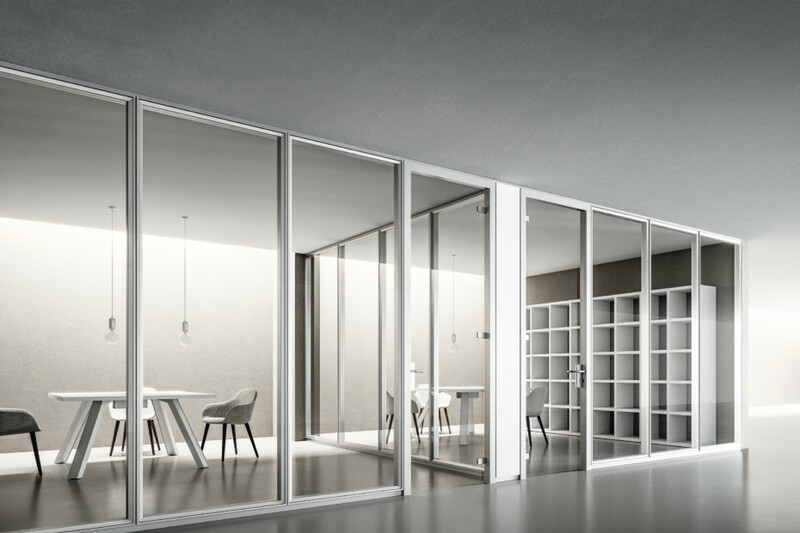 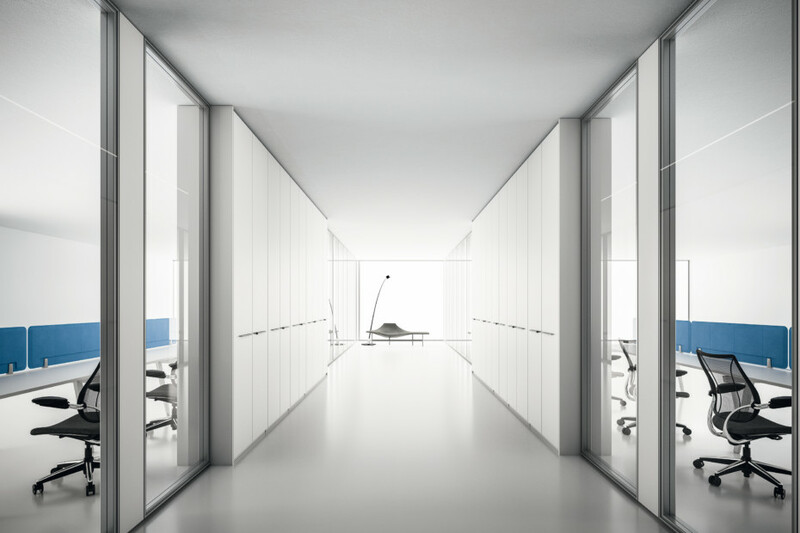 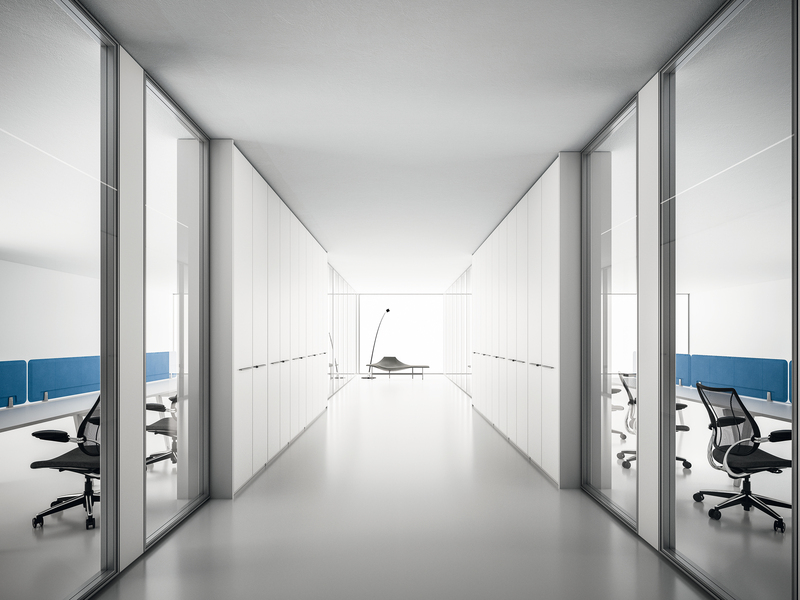 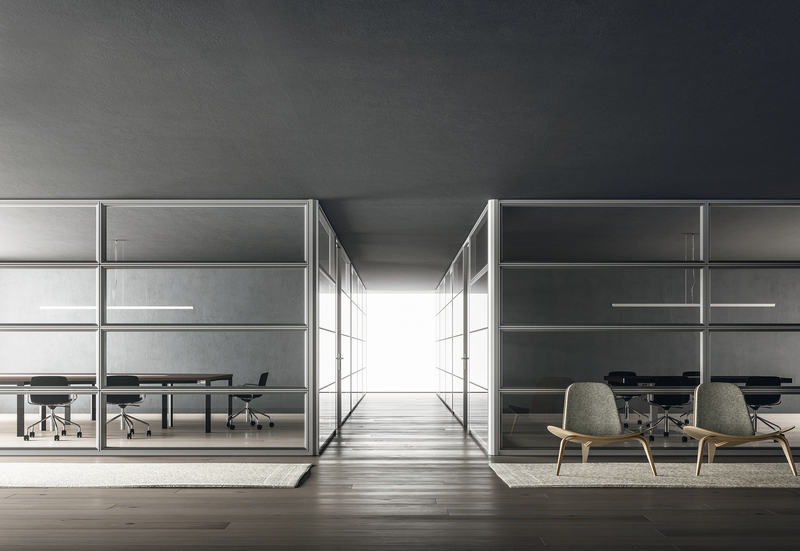 The DV604 series, a 10 cm thick partition wall with a steel frame, is designed to be plated with pairs of opposed panels in melamine, veneer or glass. 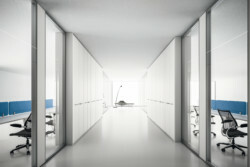 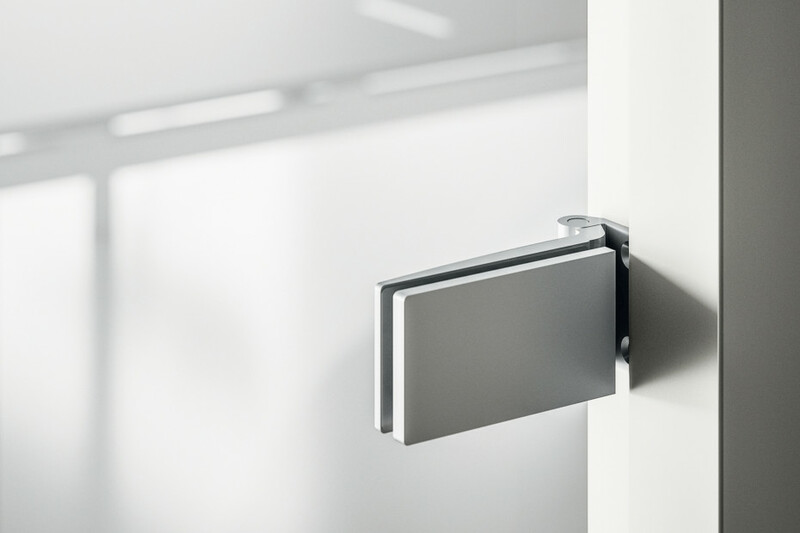 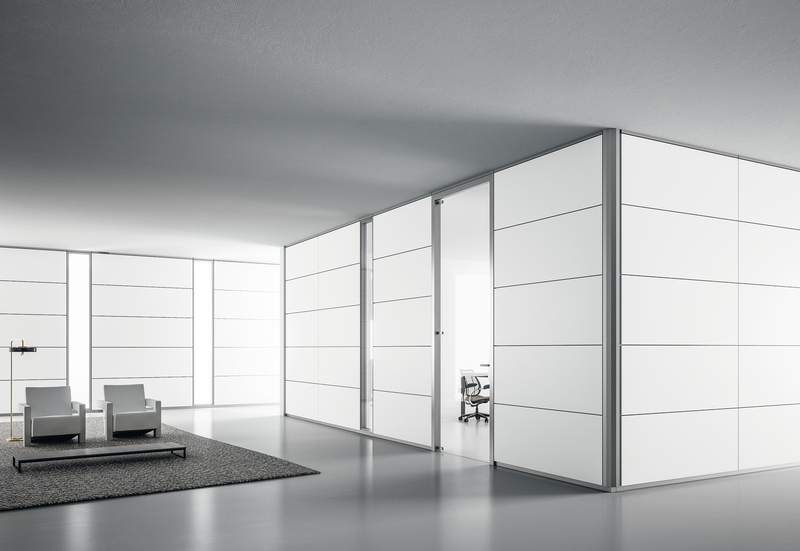 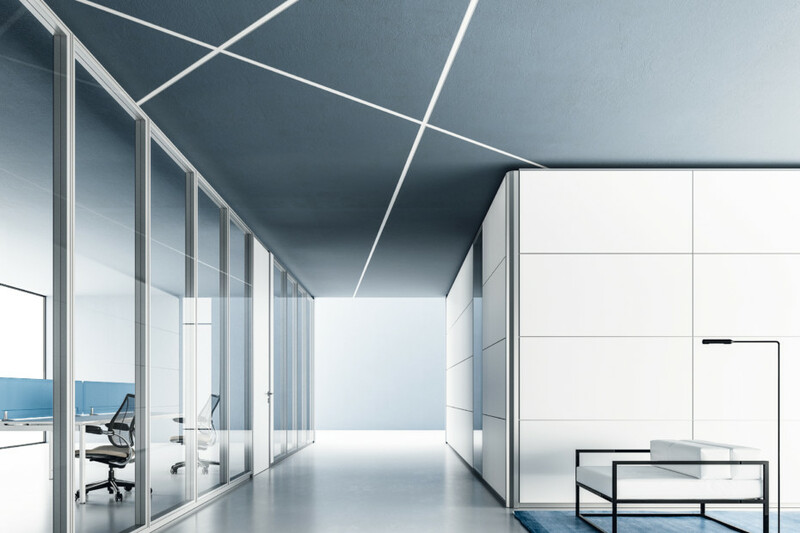 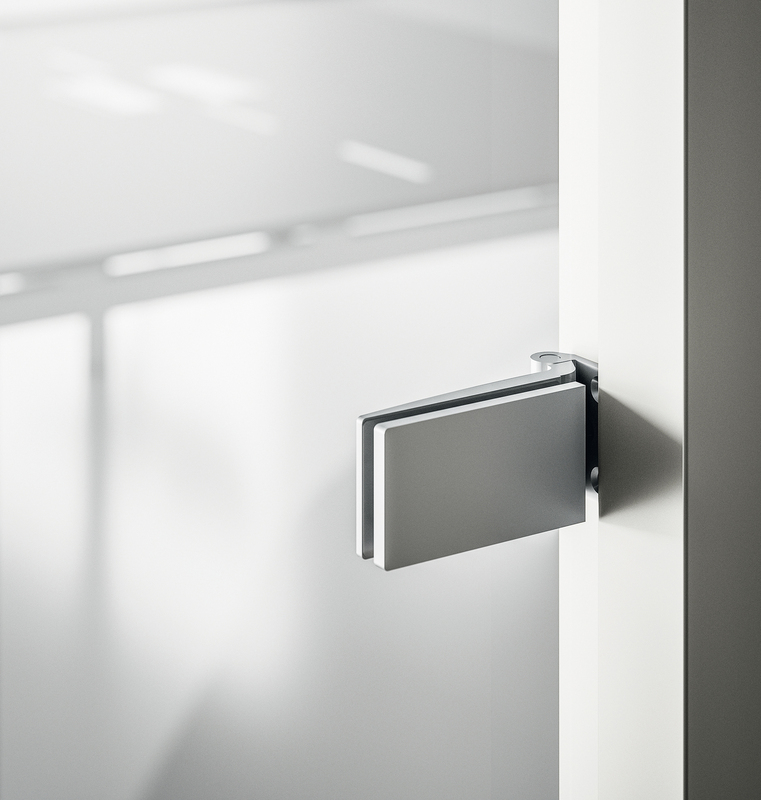 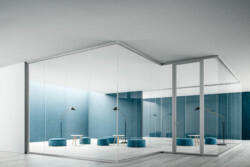 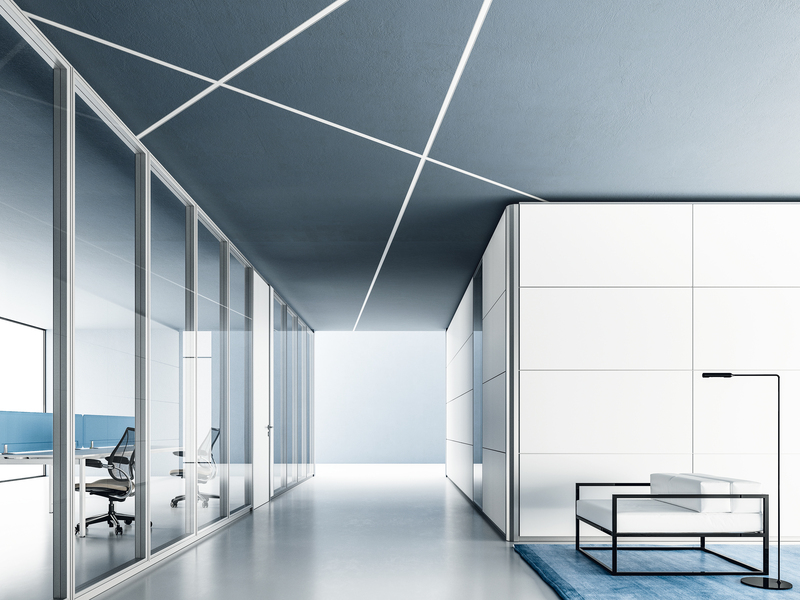 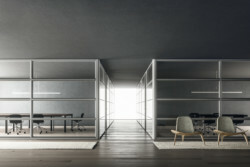 High level of flexibility in creating compositions and solidity of the different types of modules, that include hinged doors and various other modules. 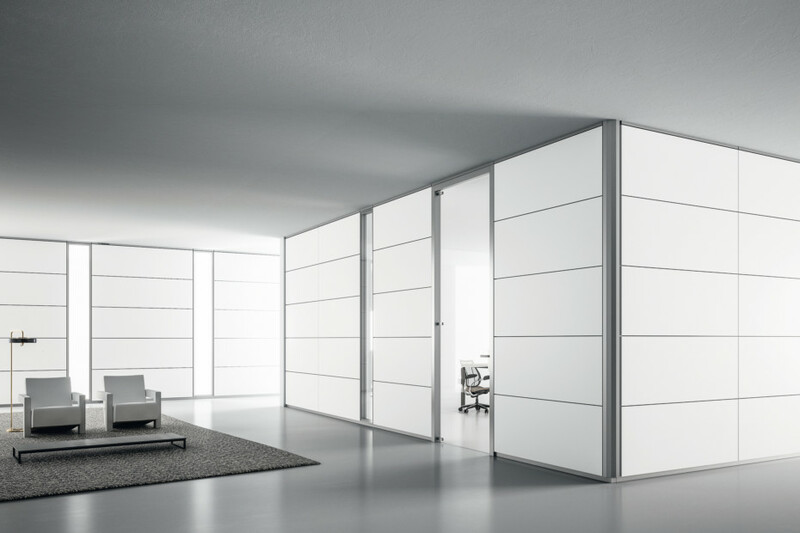 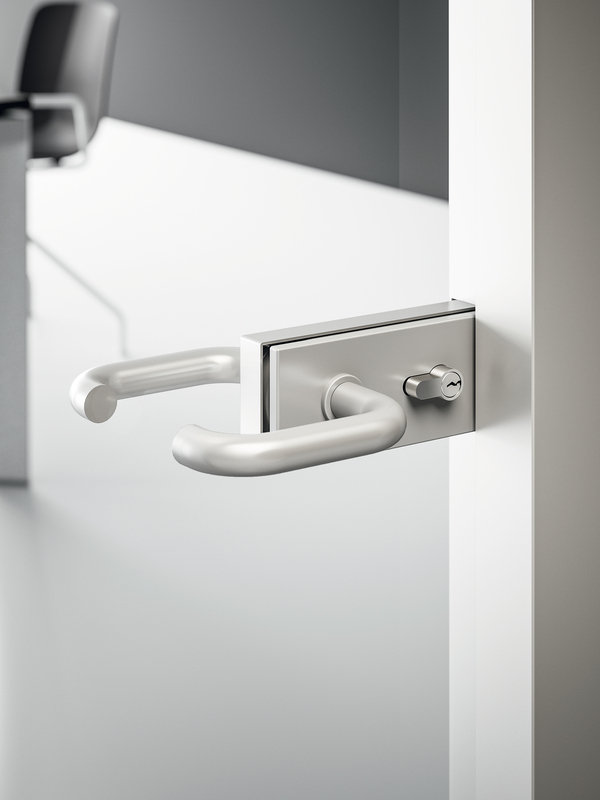 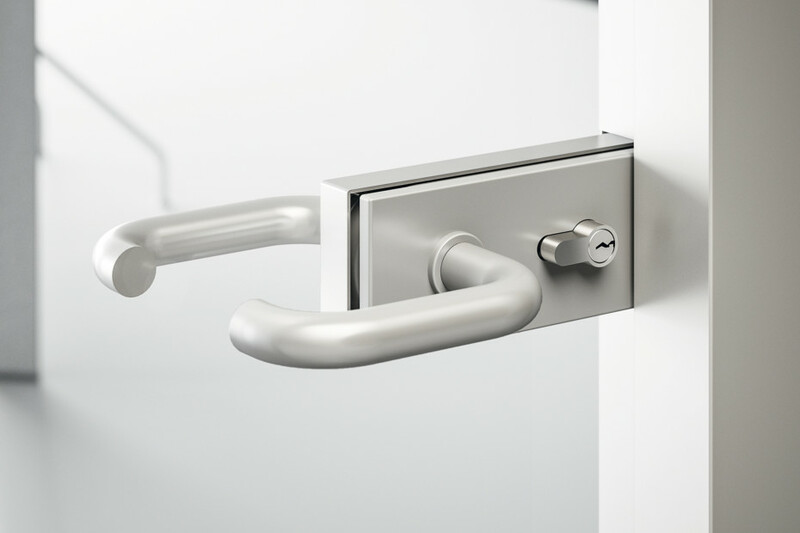 Possibility of integration with DV605 storage wall system.